Leicester City host Burnley on Saturday afternoon in what will be an emotional match as they pay tribute to both Remembrance Day and former chairman Vichai Srivaddhanaprabha. 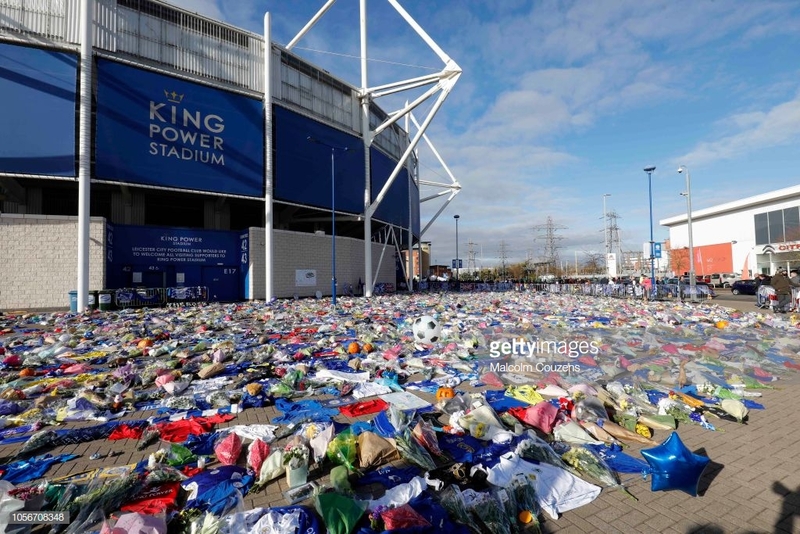 Leicester City host Burnley at the King Power Stadium on Saturday afternoon in what will prove to be an emotional match as they commemorate both Remembrance and the former chairman Vichai Srivaddhanaprabha, along with the four other victims of the tragic helicopter crash a fortnight ago. The Foxes, who this week travelled to Thailand to attend Vichai's funeral, look to carry on their winning ways after a 1-0 victory away to Cardiff City, while the visitors will look to bounce back from their away defeat to West Ham United. Three points on the day will mean a lot more to Leicester than just another three points on the board. The day will mark their first appearance back at the King Power since the tragic events that took place after the 1-1 draw with West Ham United. Achieving the win will not only mean a lot to the players, but the staff and everyone connected with Leicester as the tributes for Khun Vichai continue across the city. Should Burnley win, their run of three consecutive defeats, during which they conceded a total of 13 goals, would end. As it stands, the Clarets find themselves two points clear of the drop zone and only three points clear of bottom of the Premier League Fulham, meaning that the three points will go a long way in increasing the margin between them and danger. Jamie Vardy has seemed to have lost his goal scoring touch of late but he will looking to return to the goals as he takes on a Burnley side who have been conceding on a regular basis lately. Captain Ben Mee will have to organise his defence to counter this threat in an attempt to keep their first clean sheet since their draw with Southampton on the opening day of the season. The Foxes last faced the Clarets at Turf Moor with the hosts racing to a two-goal lead within the first ten minutes thanks to goals from Chris Wood and Kevin Long. Jamie Vardy replied with a goal 20 minutes before full time, but their late press for the equaliser was not enough as they slumped to a 2-1 defeat, with their European dreams seemingly in tatters. Claude Puel has talked of the difficulty in preparing for the game due to the emotion and the lack of consistent training sessions during his pre-match press conference. He said: "It is not easy to prepare for this game. The emotion, no consistency in training sessions. But we will compensate with our spirit and attitude and the support from the fans, of course." He added: "It is important to honour our chairman and play a good game." Sean Dyche has spoken of the magnitude of the game during his press conference, stating: "This is bigger than football and this has touched a lot of people in terms of the person and people involved." He followed up by declaring that despite the sentiment behind the match, his team will still try to take the three points home with them. "We will pay our respects and we are there to support Leicester, but when the whistle blows they will know we have a job to do."